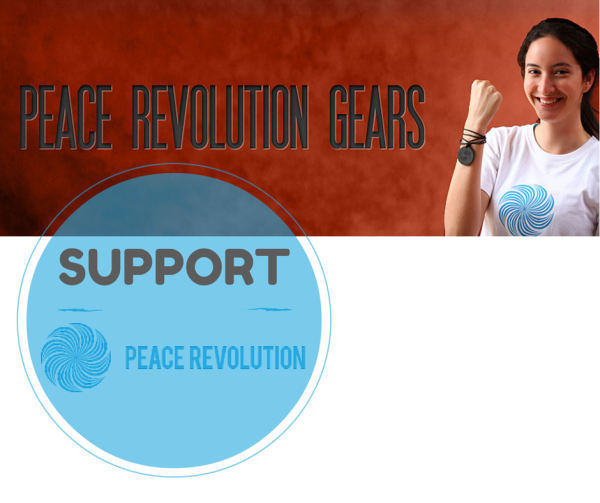 Support Peace Revolution. Contribute to Building Sustainable World Peace. Do you believe that sustainable World Peace is possible? Would you like to support us in helping to achieve it? Donate and receive one of our gifts of gratitude! Your contribution will support the costs of running our website and our fellowship programs. Thanks to you, more young people around the world will be able to learn methods to bring inner peace into their lives, families and communities. 1. Simply by meditating, and sharing your positive experiences with others, contributes to making World Peace a tangible reality. 2. Become a Peace Journalist! Write for our blog and share your peace and inner light with everyone! 3. Keep in touch with us on Facebook and Twitter. We’d love to hear from you!